Brain in gear. Sort of. What’s been going through my brain this past week? How utterly special a sunny day is. Even more precious when you can actually get outside and feel the sun on your skin. The only downside, this time of year, is realizing that your ginormous goosebumps have blocked any rays from being absorbed. 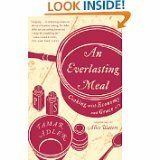 Tamar Adler’s An Everlasting Meal only Danny’s uses art supplies instead of food. 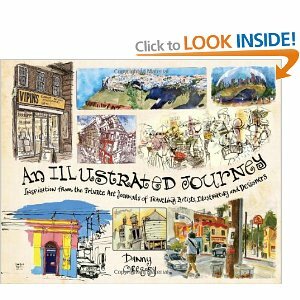 Danny has also been releasing video interviews with artists from the book. What a double treat! Manage to get keep it sane on a day where Mom was so lost in space she asked the same three or four questions all day long (and I do mean allllllll day long). Then the next morning the dementia did a flip. She woke up with her mind in place and it pretty much stayed where it belonged. A day like that feels as good as a sunny day. And speaking of brain cells—look at this gem I found; ‘Brain cells come and brain cells go but fat cells last forever.’ Man, things like that make me want to crawl back into bed and never get up no more, no more, no more. No wonder diets don’t work! Earlier this week Mom banged the corner of her forehead on a kitchen cupboard door and because she takes blood thinners the spot ripened up like an eggplant. Not huge, just noticeable. Here’s the dilemma; Do I chance taking her out for a ride where others might see her bruise and think elder abuse.. . .Or do I lock her in a closet till the bruise is gone ? Relax—anyone who’s ever heard Mom yell knows I’m wallowing in black humor. She’s got a set of lungs that would put a hog-caller to shame. Trust me on that one! One last thought on brain cells: If the left side of the brain controls the right hand—does that mean only left-handed people are in control of their right minds?